Fifth graders should learn how to edit and provide feedback for each other's work. Writing and verbal communications skills are rapidly developing and maturing by the fifth grade. Over the course of the year, students' grammar and spelling skills improve, and they gain skills necessary to express themselves through writing in a more developed and well-structured format. Whether in creative or informative writing, the elements of fifth-grade writing set the foundation for successful written communication in middle school and high school. By the end of the fifth grade, students should be able to produce organized and well-developed writing that contains an introduction, a body and a conclusion. Important organization and structural elements include clearly writing the main idea in the first paragraph, starting each paragraph with a topic sentence that relates to the main idea, and providing supporting details. Understanding main ideas and subtopics in writing is related to reading-comprehension skills in which students must identify the main idea of a text and summarize the supporting details. Well-developed and organized writing examples should be provided to students as models to evaluate before they write. Throughout elementary and middle school, learning correct grammar and spelling plays a key role in the writing curriculum. Important grammatical lessons for fifth graders include run-on sentences, sentence fragments, subject/verb agreement, correct and consistent verb tense usage, punctuation and capitalization. In addition to the teacher's feedback on their written assignments, students gain grammar and spelling skills through in-class spelling quizzes and bees, reading assignments and grammar worksheets, activities and games. Fifth-grade students should participate in peer workshops in which they edit and critique one another's work. 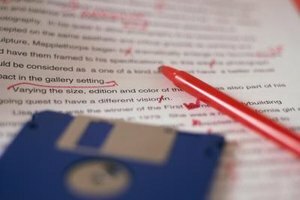 Identifying common errors in the writing of others can help them learn to identify errors in their own work. The Common Core State Standards Initiative notes that with guidance from adults, fifth graders should develop the skills to strengthen their writing "by planning, revising, editing, rewriting, or trying a new approach." Students also should gain the skills to revise their work based on feedback provided by instructors and peers. 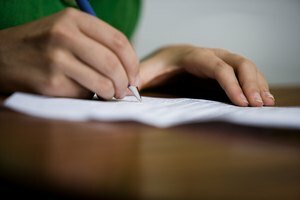 According to Scholastic, one of the key elements of fifth-grade writing is to prepare students for middle school standardized testing. Students should learn to write in response to a prompt in a timed setting and to formulate a well-structured and thoughtful response to a reading passage. These skills set the foundation for critical standardized tests such as the PSAT and SAT that they will take during high school. Battaglia, Soheila. "Elements of Writing for Fifth Grade." Synonym, https://classroom.synonym.com/elements-writing-fifth-grade-14483.html. 26 September 2017.